“Homes Not Hondas” seemingly over before it began. It’s largely too little, too late now, but an information item before city council says HRM wouldn’t have been able to stop Rob Steele’s parking lot proliferation even if it tried. The report originates from a petition signed by more than 1,000 community members that was brought to council back on May 10. 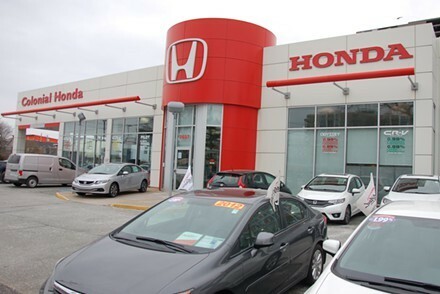 It was a civic attempt to stop Colonial Honda owner Rob Steele from demolishing 17 residential properties on Fern Lane, McCully Street and May Street to make way for an expanded dealership. Signees of the petition had asked HRM to explore options preventing that destruction in order to maintain the neighbourhood’s residential character. Council didn't take any of those actions, but it did ask for a staff report addressing some of the community's concerns on how this happened and what could have been done to stop it. Turns out, not all that much. “Prohibiting the demolition of privately owned buildings and the expansion of the existing car dealership is not possible given the existing authority held by Regional Council,” says the document, prepared by planning applications manager Carl Purvis. All of the property around the Honda dealership is zoned for commercial use, and Steele, as-of-right, is free to turn a two-storey home into extra asphalt showroom space. If the city had intervened, Purvis suggests Steele would have grounds to take legal action. The municipality was also in no position of authority to do anything about Steele’s demolition permits. The Charter allows council to intervene in the demolition of heritage properties only. 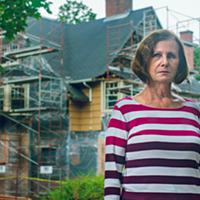 The municipality doesn’t “and cannot” address issues like the fabric of the community, architectural merit or future proposed developments on non-heritage sites scheduled for demolition. Oddly, even when HRM can prohibit the demolition of a registered heritage property, Nova Scotia’s Heritage Property Act says the owner only has to wait three years and then they're free to tear the structure down. 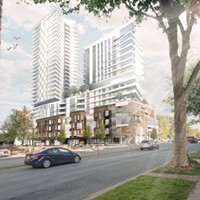 Purvis concludes that the Centre Plan—HRM’s new development bible that’s expected to be brought to council by end of 2016—will provide solutions for altering existing out-of-date bylaws and making sure future residential neighbourhoods don’t suddenly find themselves in the middle of a car lot.